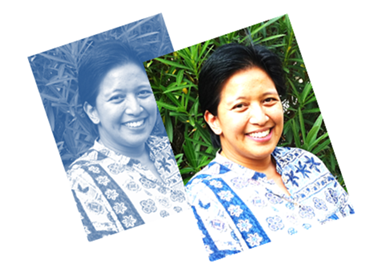 We are sad to share that Dr. Wootilada Herabat will be leaving Peace Corps on July 10th. We would like to thank Dr. Wootilada for her service to Peace Corps. Dr. Wootilada has a very warm and fun loving personality and she is a great team worker. She will be truly missed! Please join us in wishing Dr. Wootilada good fortune in her future endeavors. After one and a half years in this great agency, I’m heading off to pursue my career and personal development. These past years have been such an enriching journey for me and I feel very honored to have worked with all of you. Words cannot describe how thankful I am to be part of the Peace Corps family. I’m grateful to all of you who have inspired me to come to work every day. Many, many thanks, and I hope our paths cross again somewhere down the road! We realize that the transition to two new PCMOs will be tough for the PCVs but the Global Office of Health Services and post have put a lot of effort in covering the needs of the volunteer community during this transition period. From July to mid-August, a number of temporary PCMOs have been assigned, some of them from HQ and also a PCMO who has previously worked here for a short time. They will work in close collaboration with our own Medical Assistant Nan and our own Regional Medevac Clinical Coordinator and former PCMO Thanyalak. During the second half of August and until the two new PCMOs are on board, our Regional Medical Officers will be here to take care of PCVs’ needs. KRSD will list the names and dates of medical staff on duty so you are aware, but during this period of transition it is crucial that PCVs use the Medical Duty Phone and the main email address for communication with the Medical Unit.